Looking for a way to stay on top of current events? No matter what you’re into whether it be music, comedy, politics, TV, art, style, or romance, current.com has the latest news you are looking for. 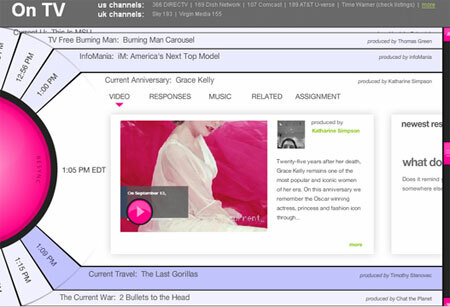 Current.com is an online TV station built by you. This website presents short video clips that give a clear sense of what is happening in popular culture. This site takes updating their content seriously and they are constantly uploading new clips. Current also turns to their users upload to original material too. What I Like: They gave a face to the website by introducing news host Douglas Cabellero; he keeps you on top of the latest trends at Current.com. My favorite section is their hall of fame; it boasts the all-time best clips. Will you give this a try or stick to YouTube?